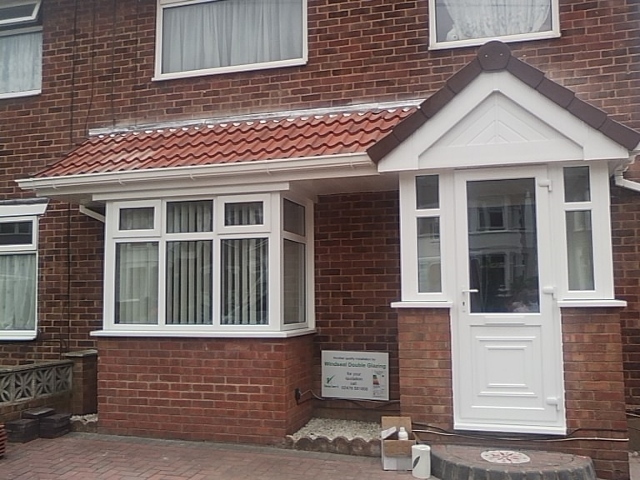 An entrance porch is the finishing touch to the front of your property. An entrance porch can be many things. Whether it’s to finish off the look of your property, provide a place to shelter, an extra layer of security, or simply just somewhere to leave your boots and umbrella! 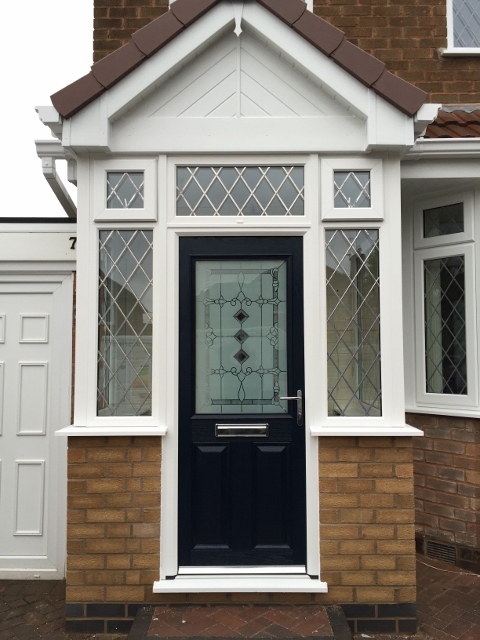 There are so many possibilities when it comes to designing an entrance porch. You may or may not require brickwork, or a concrete base. 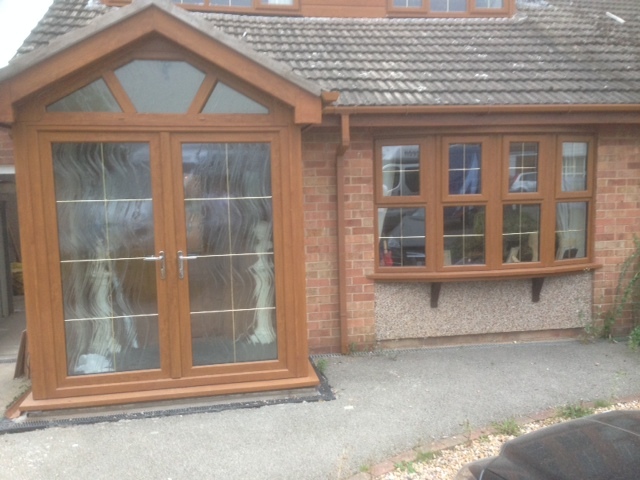 Our windows can be manufactured to sit onto a brick wall, or go full length to the floor. 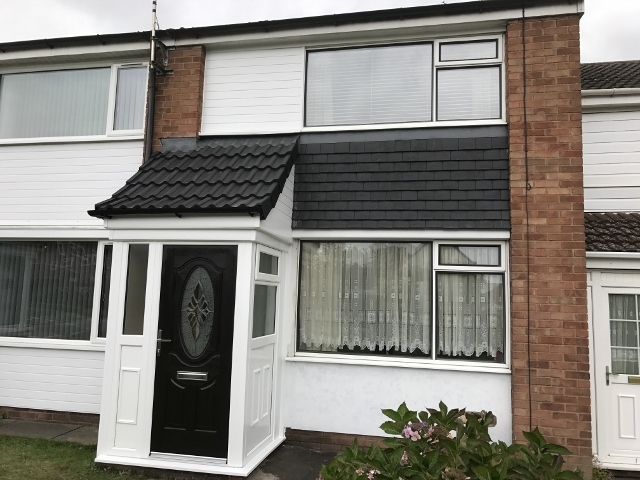 You might need a tiled or flat roof, or your porch may fit underneath an existing roof. Consider how much space you need inside the porch. Are you going to be putting a pram inside, will you have room for the door to open inwards, outwards, or would you be better off with a sliding door? 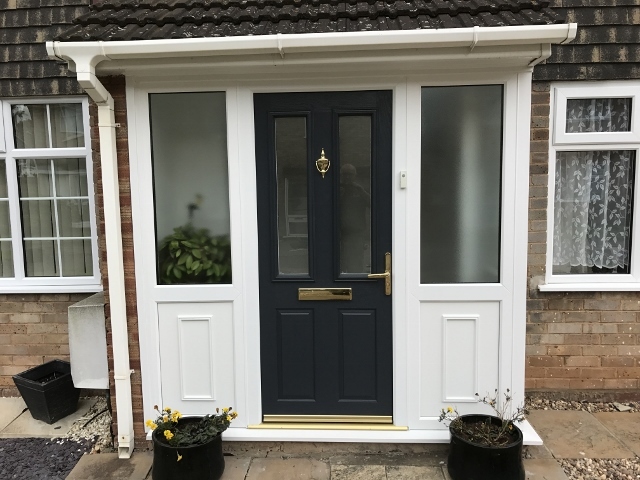 Do you want the security of a composite door, or the light giving properties of a fully glazed door? 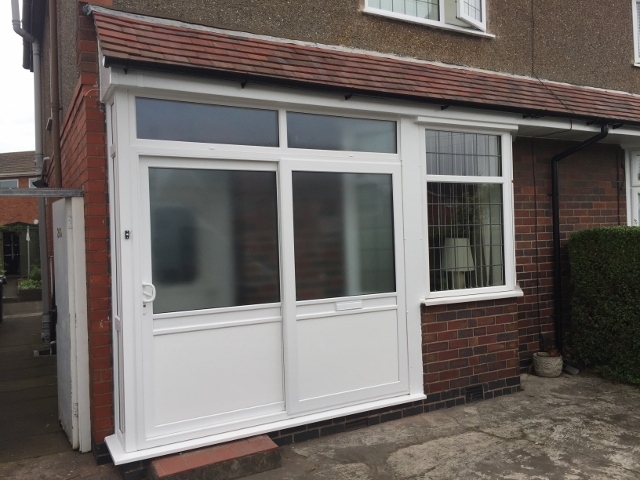 Take a look at some of the installations we have done for ideas, or show us a picture of an entrance porch you found on pinterest, and we’ll advise you on how that will fit with your property.